I can’t believe it is 2 months since I last blogged. 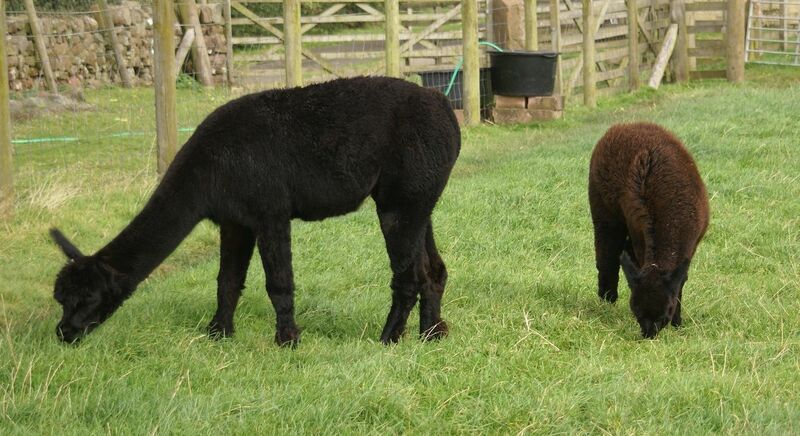 Summer is now over it seems (it kind of passed us by in Cumbria) and as we prepare for winter, we always reflect on this year’s drop of cria, especially on the health of both the dams and the babies. 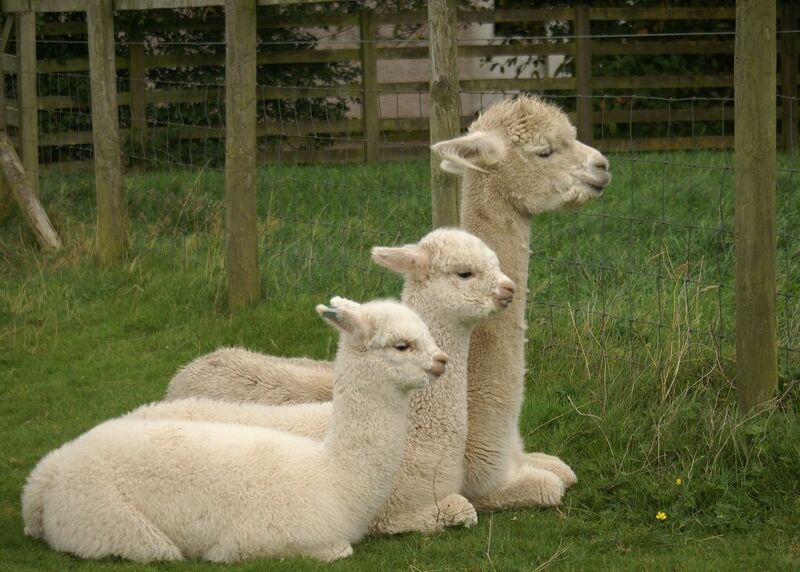 We have had 53 cria born on the farm this year. All healthy with no pregnancy losses or still borns, We have given 2 plasma transfusions with good outcomes, and have generally had very good weight gains (with the exception of one maiden dam whose cria was a little slower to gain and is now enjoying some creep feed supplement). Of the cria born, 30 belong to ourselves, and with a late run of boys we have ended up with 15 females and 15 males, from 11 different sires. Each year we say “this is the best quality we have produced” and this is how it should be, as we strive to continually produce the very best quality from different genetic lines and colours. With experience brings consistently. Of course we have the occasional “how did that happen” outcome (but everyone likes a multi!). We have mated 50 of our own females this year, who appear to be spitting off at this stage. 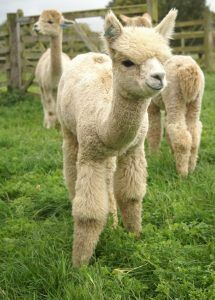 Today we have been moving the females with cria at foot into different groups. 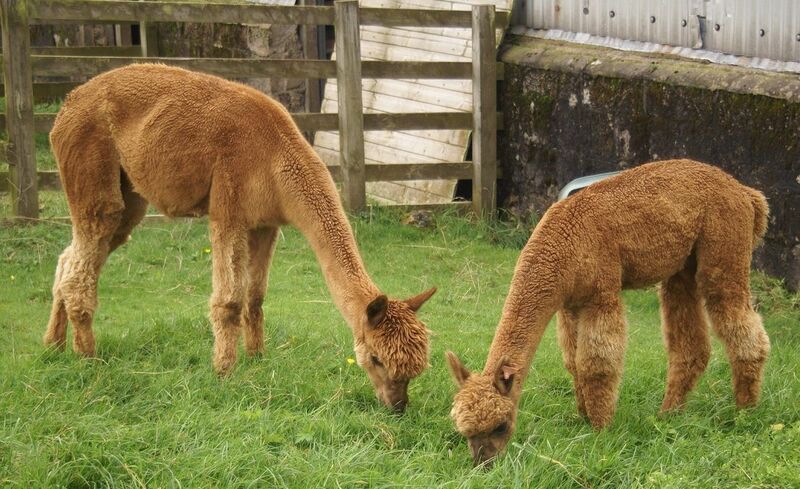 We have a feeding up group (some are just being too generous with what they are putting into their cria). These are generally picked out at monthly weigh-ins. 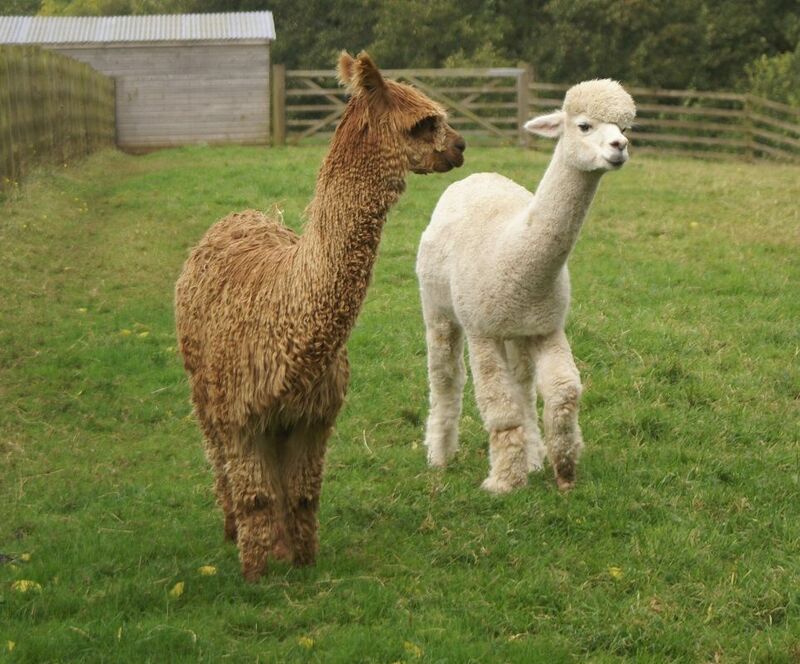 These girls will start sugarbeet now (the others will as the weather gets colder); a group with older cria who use the further a field paddock; and a group with younger cria who are closer. All have access to the main barn and are always in waiting to be fed every morning. We obviously rule out parasite burdens and illness rather than just assume it is only the growing cria taking it’s toll. Below is Beck Brow Seventh Heaven, a maiden who has produced a lovely female (sire Bozedown Bourbon). 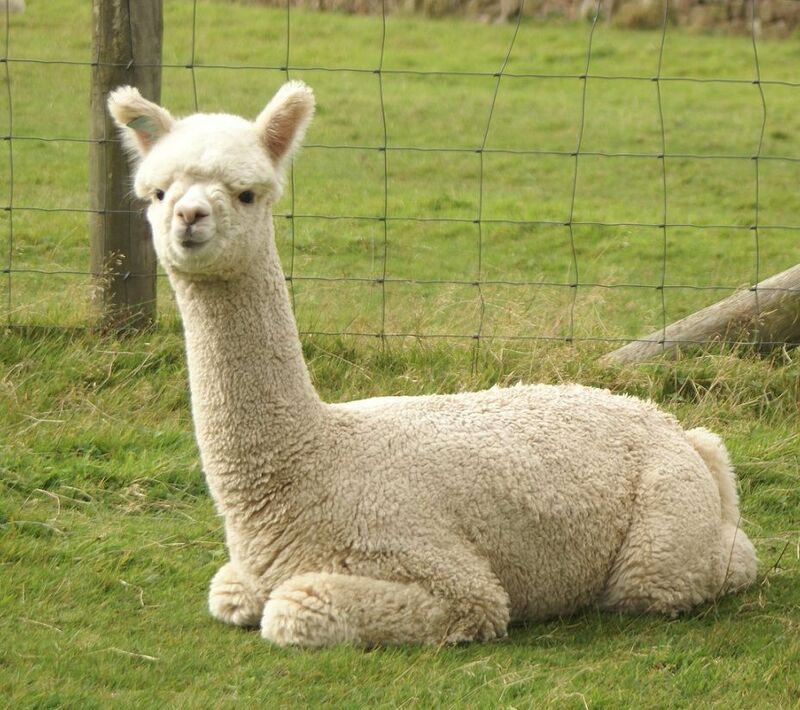 She is an excellent dam and feeds her fast growing cria on demand, she has been moved into the extra ration group. Beck Brow Seventh Heaven is feeding Beck Brow Cloud 9 well. Now in the feeding up group. On a less positive front we have lost two adult females this summer (It is rare for us to lose adults). Biba, who was owned by Robyn and Craig, died from a cancerous tumour of the stomach. She had a 2 month old male at foot, who is now being looked after by his yearling sister. Blossom won’t let him out of her sight, it is very sweet to watch. He is doing well on morning and evening bottles and uses the creep feeder the rest of the time. We also lost Stardust, who had a truly royal pedigree, a Spartacus daughter from a Firedragon daughter. We initially thought that she had a simple case of colic from rushing in and eating too fast. However, she deteriorated very quickly and died before the vet arrived. On post mortem she was found to have a twisted gut. 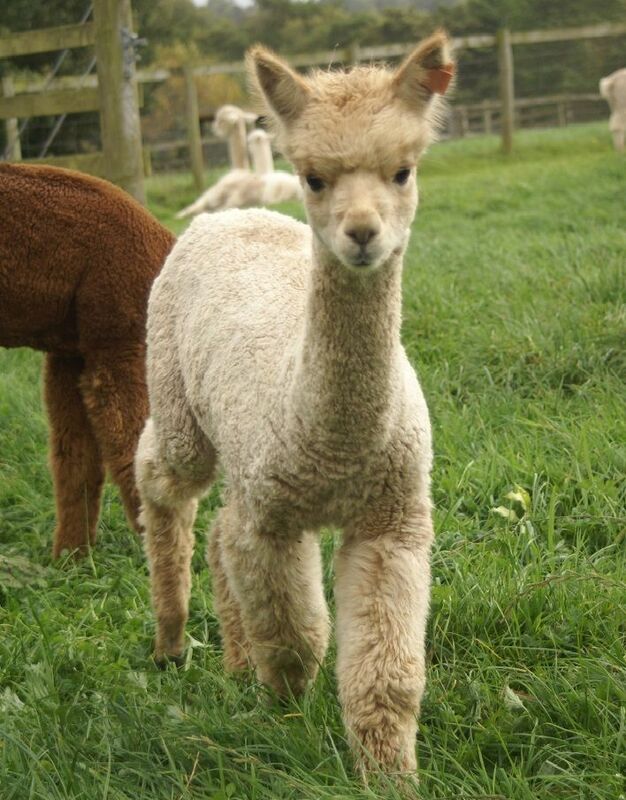 Sadly we lost her young cria to pneumonia a week later (our only cria loss this year – to date). We are fortunate to live only 15 minutes from a Veterinary Laboratory Agency, and although thankfully we don’t have many post mortems to do, we know that they will be fully investigated for everything (not just the cause of death). We feel this is very important as it acts as an additional surveillance for our herd health (for example no internal parasite problems were found). This backs up Paul’s faecal egg counts but gives reassurance that our testing is correct. We have also been doing herd health bTB surveillance using the Enferplex test. 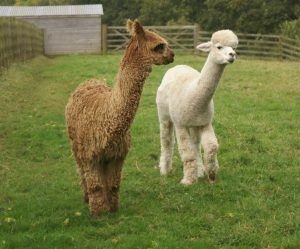 We have 65 alpacas leaving us over the next couple of months, so this has meant testing from groups all over the farm. We have been using the same vet to take the blood samples, and it has been so stress free as she has become so proficient at collecting the blood now. We are pleased to say that all tests have come back completely negative. Good to have the science to back up our belief that we had a healthy herd. After some delays we were pleased to see our new Suri stud male arrive from Australia (via New Zealand). He arrived at the end of July, too late for this year’s breeding, but we will look forward to using him in 2018. Kurrawa Hell Raiser was the AAA National Brown Suri Male Champion 2016, and he certainly hasn’t disappointed upon arrival. Fabulous lustre and density. Kurrawa Hell Raiser of Beck Brow – not happy to have the Strategist try to photo bomb! We have a serious lack of cria photos this year, partly because we were away for 3 weeks and then I had to recover from flu, and also because it never seems to stop raining. We failed to get our hay for the first time this year, and have had to settle for all wrapped haylage (we normally have a mix as small bales are handy). Just as well that we are going to have fewer mouths to feed. Here are a couple of photos taken in the drizzle this morning, Both Cheers and Vidal are far too nosey to get any decent shots!